Today on this edition of Beauty for Foodies, we are talking about a beauty brand that’s inspired by “wise plants and wild hearts” – Kaliks Collective. Learn why their products are some of the best in the industry and how they perform in every day life! Discovering new brands and products is always a balance – I want to try as many new products and see what’s good out there, so I can recommend them to you; but at the same time, want to stick to my regular routines for the sake of my own sanity! But I’m here to tell you that – who cares about my sanity when I can support small businesses, discover new brands, and tell you (my darling, beauty and skin conscience audience) all about it?! Allison is a certified western Herbalist, Functional Diagnostic Nutrition Practitioner, yoga instructor and holistic wellness advocate who brings years of experience in integrating comprehensive modalities such as functional nutrition, herbalism, meditation, reiki and yoga. So, it’s safe to say she definitely know what she’s doing and has created some incredible products I tested out for the past few months, so keep reading to discover them for yourself! Organic Rose Petals, nerve-calming, mood-enhancing, antioxidant, anti-inflammatory, antimicrobial, antidiabetic, hypnotic, analgesic and astringent. 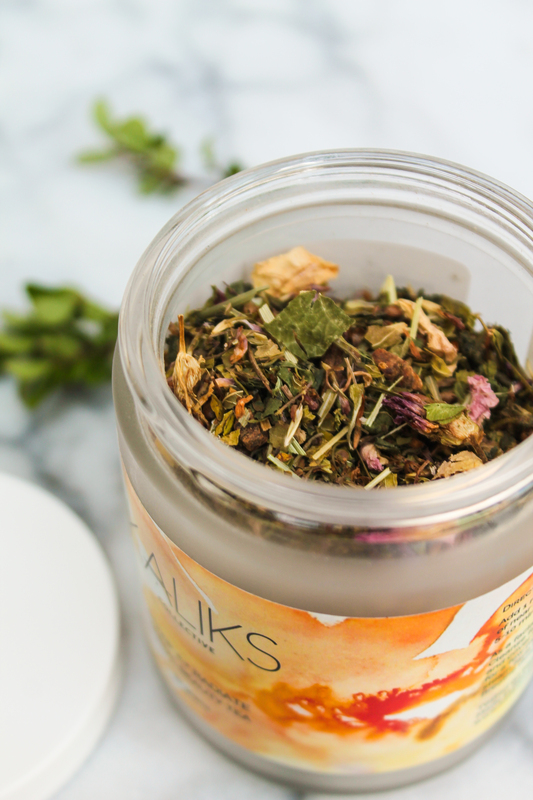 Order this herbal beauty tea today and you’ll understand why it’s so important to feed your skin from within. Up next, this facial cleanser that’s more than a cleaner and that’s why I love it so – I’m a minimal when it comes to my routine and if a product works as a cleanser, mask, and scrub, that’s all I am going to need in life to clean my skin! Plus, check out these ingredients and head over to their site for more information on them. Like I said, this cleanser is best for those looking to save steps in their beauty routine! Overall, this is a beauty brand I definitely have fallen in love with. 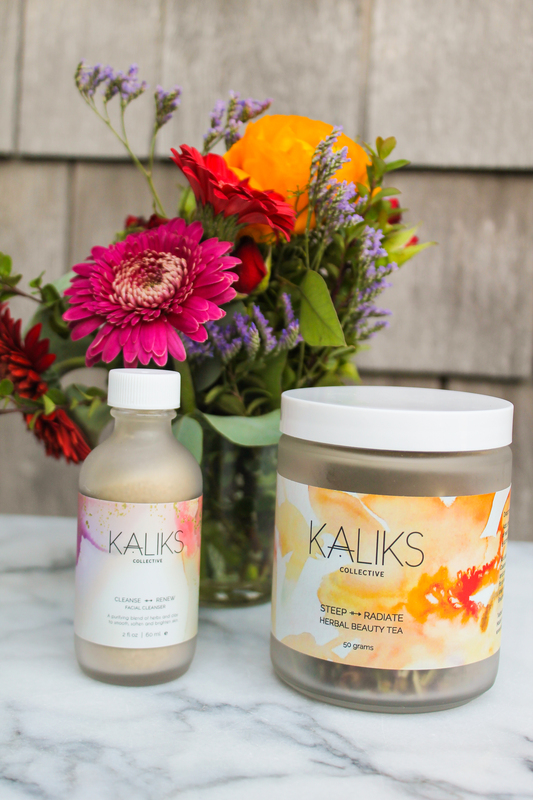 Kaliks Collective I just the type of brand I love promoting, because of all they stand for, and what they do to feed our skin on the inside and out! Disclosure: This post features products received for editorial consideration. I only recommend products I personally test and love. Thank you for supporting brands that make this blog possible! I’ve tried the Kaliks cleanser and i love it! Doesnt break me out and my skin feels so soft and smooth after using it. Thanks for the recommendation.